The inaugural WSOP-C Playground Main Event has come to an end and the Champion has been crowned: congratulations to Danny Freitas! 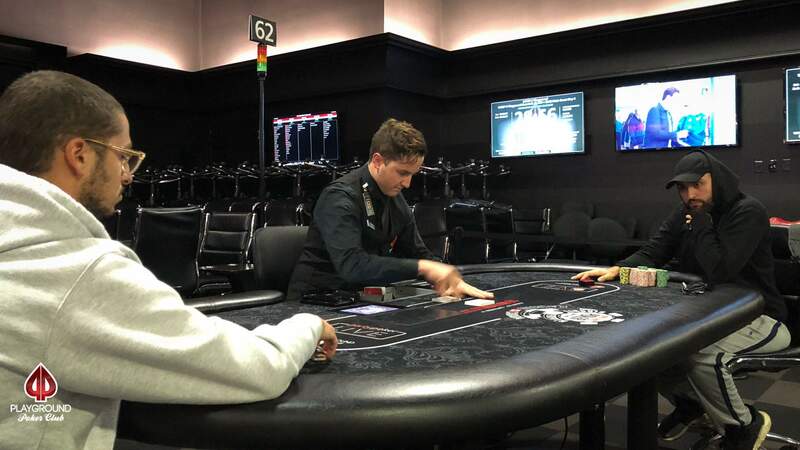 With the player deal that was made when there were just two players remaining – and the huge chip lead Danny enjoyed – heads up play was never destined to be a long affair. 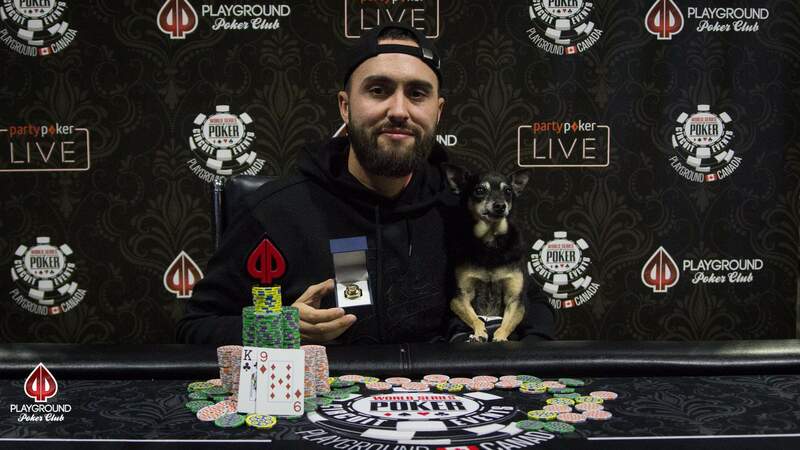 Maxime Boulais doubled up once – but otherwise, everything was going Freitas’ way and nothing was going to stop his championship bid. The win caps off a fantastic week, as Freitas also final tabled Event #1, the Colossus, and arguably exited prematurely in 6th place having controlled the table and the leaderboard for long stretches of play. The same was true in the Main Event. 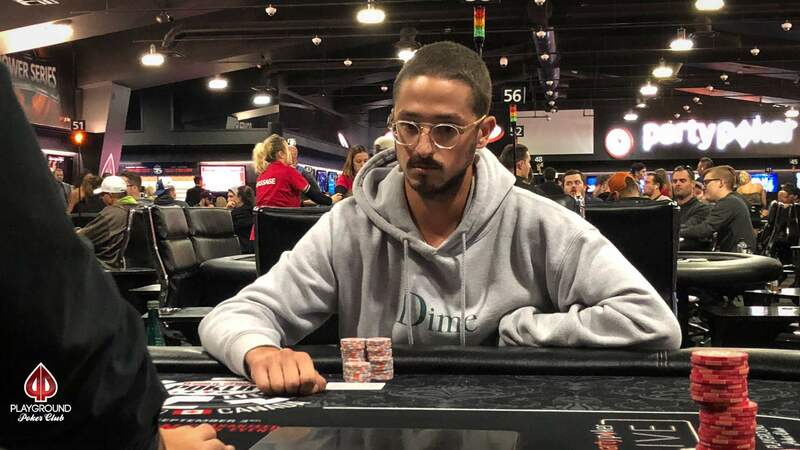 Freitas began play on Day 4 in 4th place on the leaderboard with 8.925M in chips, and just two levels in to the final day, he was past the 25M chip mark and well on his way to a super-deep run. In the Main Event, in contrast with the Colossus, once he had the lead, he was able to maintain his position at the top (or 2nd for brief stretches) all the way to the end. The final hand saw all the chips get in preflop – Boulais held and Freitas was playing . The flop gave Boulais a pair – but gave Freitas a gutshot straight draw, and he didn’t need to sweat, the was laid out right away on the turn. The river was the giving Boulais a straight – but Freitas’ King-high straight was better, and the Championship was his. 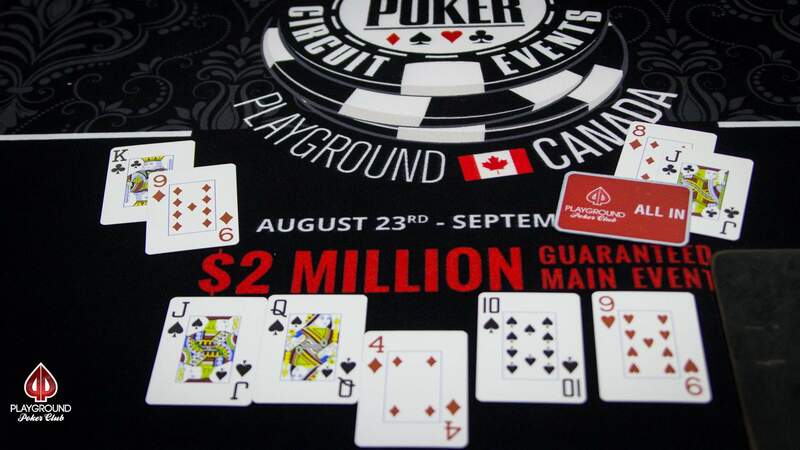 The 2018 WSOP-C Playground Main Event has now reached the heads up phase with two players, face to face, playing down for the biggest prize, the Ring, and the pride and notoriety that go along with a WSOP-C. Right away the players discussed a deal, and with the disparity between the players’s stacks, a deal was relatively easy to arrive at. The players chose to reserve $50,000 and the Championship Ring for the winner, and lock in the numbers suggested by an ICM chop. And with that agreement in place, heads up play begins! Yuan Li was playing a fantastic tournament, and all was going according to plan on the final table until just over an hour into 3-way play. She spent long passages of time tonight as the chip leader, and then alternating as leader with Danny… and then into 3rd place after Maxime’s flopped set of Tens beat her Kings. 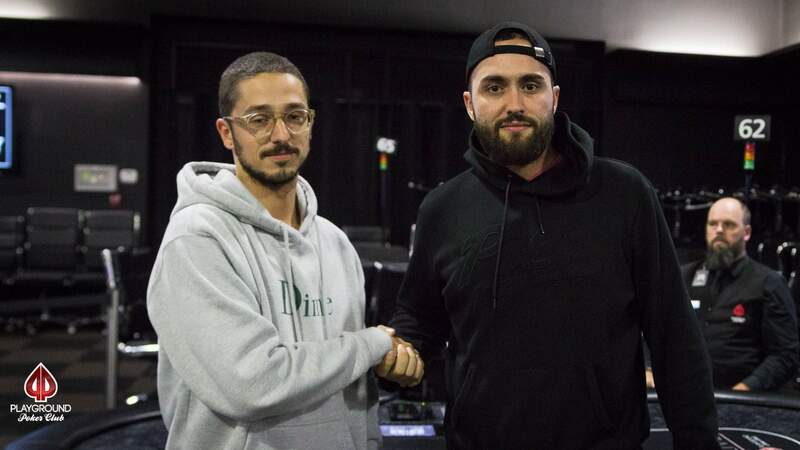 Just a few hands later, Maxime opened in the small blind with a limp, Yuan shoved and Maxime made the call he was hoping to make. 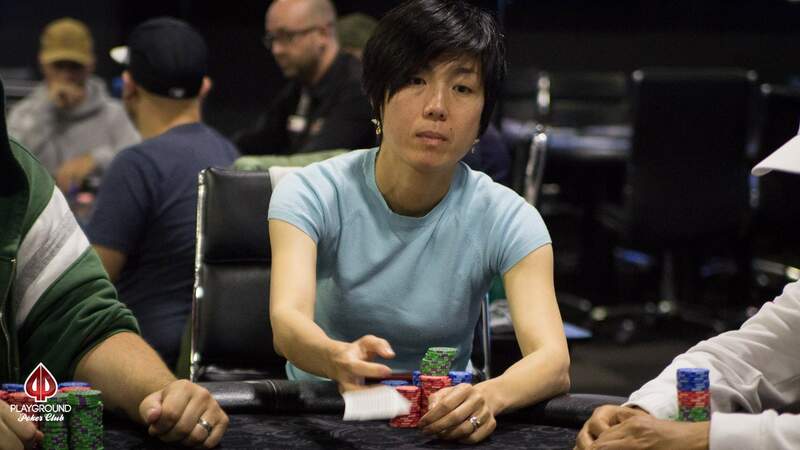 Maxime stayed ahead on the flop and the turn and river were meaningless… and Yuan was sent to the Tournament Desk to pick up her payout ticket. 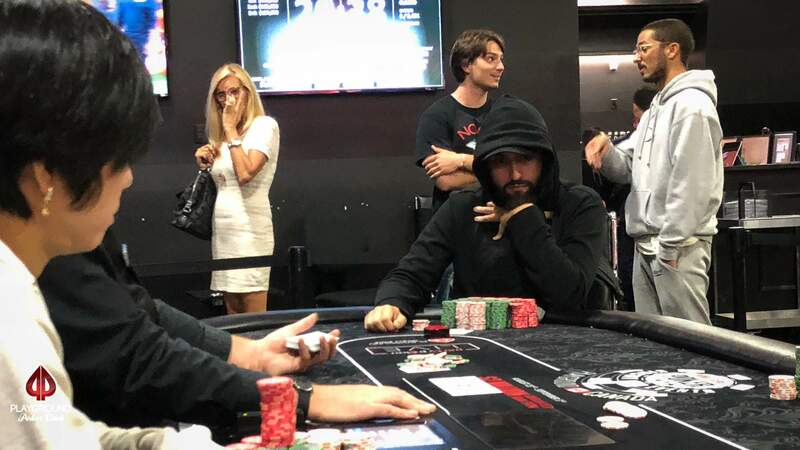 In an improbable turn of events, Maxime Boulais’ patience has paid off and he has managed to move into 2nd place among the three players left in the Main Event. 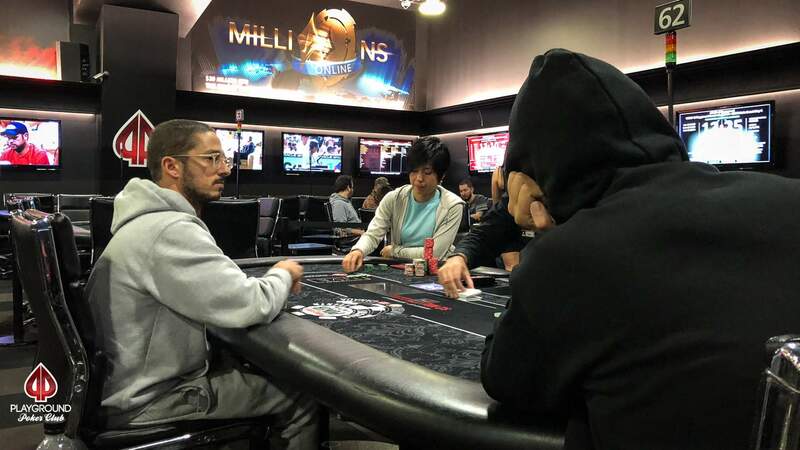 Danny opened the action from the button with a raise to 1.6M, and Maxime raised all in for 10.2M. With no hesitation at all, Yuan just flat called the all in. Danny folded. For the second time today, the bad news for the player in the lead came right in the window: to give Maxime a flopped set of tens. The turn was the and the river was the – the tens take it! Maxime is now up over 30M while Yuan has slipped into 3rd place. The epic battle continues! The three players remaining in the Main Event have been playing for over an hour and so far the battle can only be described as “epic”. 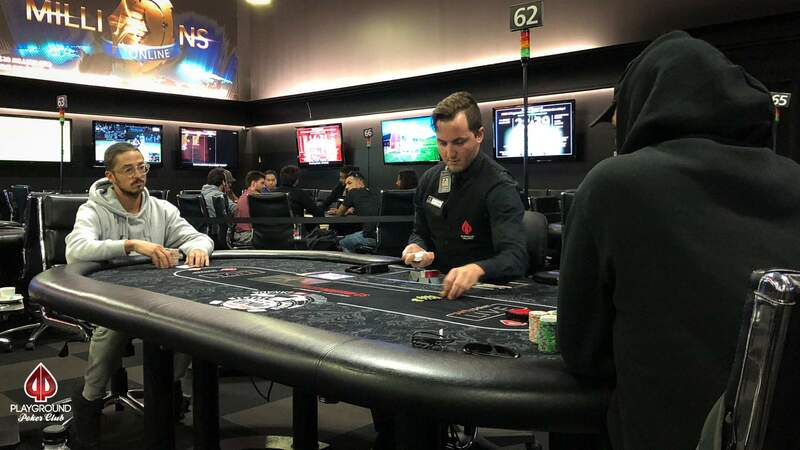 The dynamic is interesting because there are two players with large stacks – Danny Freitas and Yuan Li – and one player – Maxime Boulais – who started very short and although he doubled once, is still a huge underdog. The ICM considerations alone suggest that the two big stacks shouldn’t risk that much with a short-stacked player still at the table… but Yuan and Danny have been taking it to one another hammer and tongs! At least… they’ve been taking it to one another to a point. They have played some huge pots, and the lead has changed many times – but the basic structure of 2 large stacks and 1 small hasn’t really changed at all. Mark A has now hit the rail in the Main Event after his couldn’t win over Danny’s . The bad news came on the flop of and then the turn and river brought no relief.